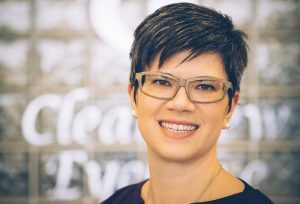 Dr. Kerrie Snider is an Optometrist in Medicine Hat, Alberta and the owner of ClearView EyeCare. We will look after you like family. We will care for you as a person as well as help you experience the best sight possible. If you should need it, we offer emergency eye treatment. It’s faster than walking into the emergency room at the hospital, and it’s also covered by Alberta Health Care. We’ve recently added an Optos scanner which allows us to capture up to 82% of the retina in a single image. 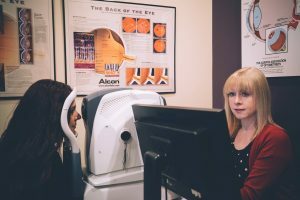 We’ve also recently adopted a BioPhotonic scanner, a measuring tool to track antioxidant levels in your body since we know that your antioxidant levels directly impact your long term eye-health. I keep myself up-to-date on the latest techniques and tools. I exceed the amount of training required by the profession because I want to be the most knowledgeable and skilled optometrist I can be. All members of my staff continue their training on a regular basis as well. We really focus on personalized attention. We take our time to make sure you feel comfortable. Our goal is to keep you looking great, no matter what your budget. We carry the latest designer frames as well as classic, value frames to fit your personality, lifestyle and budget. Last count, we carried 36 different lines with 987 unique and different frames. We will serve you well, treat you like family and help you come up with the optimal vision solution for your lifestyle. So, contact us today to schedule an appointment. What’s New At ClearView EyeCare? Dr Kerrie’s favourite frames! It’s fashion show time! Check these beauties out!